I wish there was a lower-quality resolution I could select on Hulu. It seems they only have two options, and both are too heavy-duty for my Internet connection. I did find that, if I paused the video for about 15 minutes, I could watch it for about five or ten minutes before it would start skipping again, but that meant that it would take me about two and a half hours to watch a 40 minute video. I really wasn’t enthused by that proposition. Still, I’m giving it a shot to see if I can make it without pulling my hair out. On a side note, I am also a bit disappointed to see that Hulu doesn’t offer subtitles/closed captioning for their videos (at least, not for Fringe). what’s your download speed curtiss? According to Speedtest.net, I’m getting 635 kbps on download and 46 kbps on upload. However, speedtest.net doesn’t report the latency on my connection. 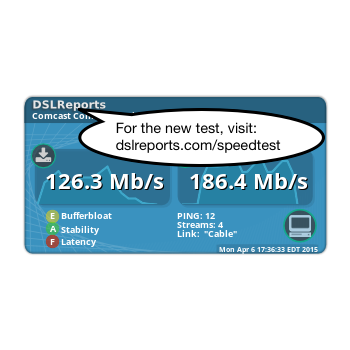 According to DSLReports.com’s speed test, I am getting 576 kbps on download and 67 kbps on upload with about 770 ms of latency. interesting – so is it the upload that’s hurting the hulu? Honestly, I’m not sure. 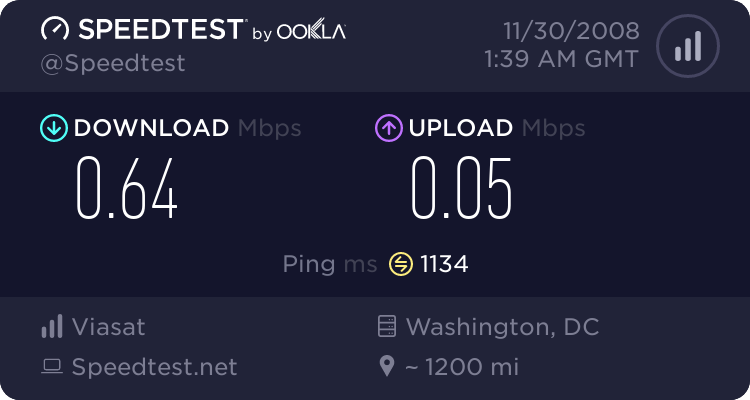 It’s entirely possible that it’s either the upload, or it’s the latency in my connection. I don’t know how Hulu is designed to work, but I would guess that there has to be communication in both directions in order to stream the content properly. I would guess that my computer downloads a small piece of the video, then attempts to contact the server again (which is where the latency and upload speeds would have an effect) to see where the next piece should come from. If it’s anything like standard streaming, I would guess this is a continuously ongoing process, constantly communicating each way. it’s certainly interesting to hear this from you – i think so many of us have fallen into the “super high ultra” speed category lately. back in the day, my rule (and most developers) was always to test on a 28.8 even when isdn and later basic cable modems came along. today it feels like this isn’t done as much. with more mobile access coming, maybe it’s time to start doing this testing all over again. I think it’s the latency. Sat latency is usually 700-1400 mbps (yes, its hardly like being online at all). I have a Sat with 1.5 mbps down and 250 kbps up — the pipe is about as big as a DSL, its the ping that is usually the bottleneck. Interestingly I can get their commercials before the video, but no actual videos. Other sites like Youtube (or Fox, or Syfy, etc.) will play. And hulu itself USED TO play, but I haven’t been able to watch a hulu vid anytime recently — they all just time out. Trust me, there is NOBODY on Sat who doesn’t HAVE to be on Sat. Satellite “service” is an oxymoron. Still, until the US gets out of 14th place in internet connectivity, its going to be a fact of life for many of us. So, I vote for blaming hulu. There is a lower quality version! I’m on sat too, and this works for me. Let it buffer for at least 30secs to a minute first. I like to get at least 4/5 bars buffered.